For some unknowable reason, Kinja will not accept the Roundup bottle. 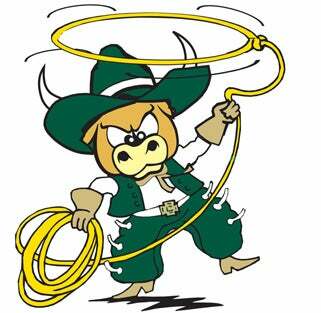 Tonight you get Roundup Bull instead. Yeehaw. Here's a good one-liner from Madoffs Mets in the Rod Streater post. Raiders receiver Rod Streater brings a little sanity back into our lives. This is sharp, from fusilliGaryBettman in the Deion Sanders Audio post. It makes more sense when you realize that the CEO is 6&apos; 7". Of course this is the Comment of the Day, from Same Sad Echo in the Peeing Fan post. It's hilarious. This is funny enough, from StuartScottsEye in the Peeing Fan post. She&apos;s probably standing so close because she wants to refill her beer. This is just incredibly ballsy, from DougExeter in the Seahawks 747 post. Very well done. I laughed at this sequence from RMJ=H in the Seahawks 747 post. That's great. Here's a terrific visual gag from Raysism, also in the Seahawks 747 post. That's all I've got. I was out eating oysters way past my bedtime. It's late, I'm tired, and I smell like a something with barnacles growing on it. Goodnight, you.